IT professionals are still being deterred by the perceived risks of cloud computing with loss of control one of their biggest worries, a global study of 4,500 IT professionals reveals. The Risk Reward Barometer study by ISACA, a non-profit association of 100,000 IT professionals in 180 countries, found that organisations remain sceptical when it comes to cloud services—especially public cloud computing. The overarching trend is that businesses see numerous benefits for adopting cloud services; however, the perceived risk cause them concern. “What is apparent from this study is the perception of control,” Marc Vael, international vice president of ISACA explained. While cloud computing is widely recognised as the next big opportunity to watch out for, it has already made significant inroads in the industry. However, the IT workforce may not keep pace with the developments. The industry ready workforce for new domains like cloud and mobility may be as less as 5.7% of the current IT workforce , said senior corporate vice president, Rajiv Sodhi, HCL Technologies,. An internal HCL report on IT careers said that the traditional "IT industry career is in decline, threatening the careers of 10 million employees" . 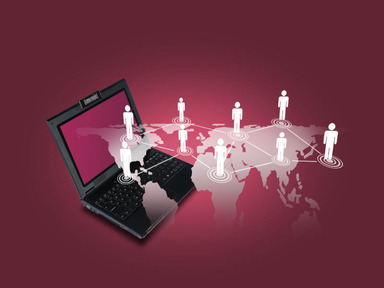 The global IT workforce is estimated to be around 20 million out of which around 3 million are in India. Companies set to profit from the growth of cloud computing. While the idea of access to software and services delivered via an online network has been around since the 1960s, it wasn’t until the launch of Salesforce.com in the late ninties that tech companies began to provide useful products via the cloud. More recently, we have seen tremendous growth in cloud computing offerings – which allow people and organizations to store digital data offsite – from Internet giants such as Amazon, Google and Facebook. This has created a market for large-scale storage services to handle the vast amount of documents, social media posts and shared photos that are uploaded to the cloud millions of times per day. Cloud computing may introduce new processes and technology challenges, but organizations appear to be ready to handle them, a new survey suggests. An overwhelming majority of IT executives, in fact, say they’re having no problems finding the skills they need to move forward with cloud engagements. But will this confidence be sustainable as organizations move deeper into cloud? With KPMG predicting a doubling of cloud services revenue over the next two years, it's a good time to point out where cloud computing has gained strength over the past year in capabilities and services. At the same time, we should look at the cloud's weaknesses, as a cautionary tale for those IT teams whom KPMG says are about to migrate production applications to the cloud.